How Much Can I Harvest? Did you know that your home is a potential powerhouse of rainwater catchment? For example, a home of 1,000 square feet can capture over 10,000 gallons of rain a year in an area of moderate rainfalls. This free water can be used to irrigate your garden and lawn, refill your toilets, wash your laundry and many other uses. Use this FREE Site Analyzer tool report tol help you determine how much rainwater your home and lot can potentially catch. 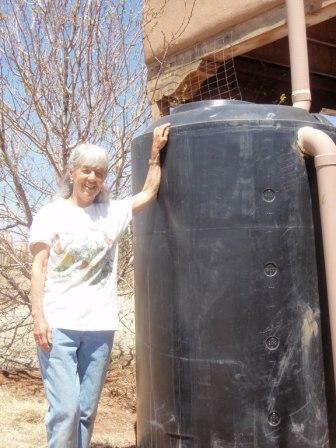 Then you can take the next step toward building your own rainwater harvesting system. 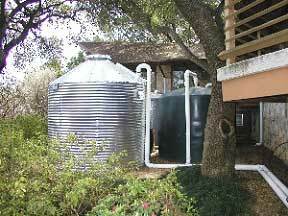 Most rainwater harvesting systems start small and grow with us. Many have been with us for years, starting with rain barrels then going on to bigger tanks or more sophisiticated systems over time. Amy has grown her tanks in gallonage and overall numbers over the years. Most recently linking rainbarrels together and installing water measuring devices to ensure she does not over water her fruit trees. The LSRC (Levine Science Research Center) at Duke University has started up and commissioned a highly efficient rainwater harvesting system designed to flush toilets and urinals in the new facility. Rainwater is being collected from the roof of the facility pre-filtered by the WISY WFF 300 Rainwater Pre-filter before it is stored in a 12,000 gallon below ground storage tank. There are many ways to save water — conservation, passive rainwater catchment, onsite recycling (i.e., greywater) and active rainwater catchment. All of these methods require that you actively manage your water use, as opposed to just paying your bill each month and not thinking about how much water you use. >> more. Converting a shed to a home office in Santa Fe, N.M., took time, research and planning, but was worth the effort. By investigating products and working closely with the contractor, the 700-square-foot (65-m2) home office now is in business. Because temperature swings are common in New Mexico, a basement below the shed helps regulate temperatures year round. Using the Earth’s constant temperature of around 55 F (13 C) and moving air from the warm parts of the shed to the cool sections in the winter and vice versa in the summer, the need for an HVAC unit was avoided. The basement walls are concrete block and covered with 1 inch (25 mm) of insulation board for an estimated R-value of 14 to 16. >> more. 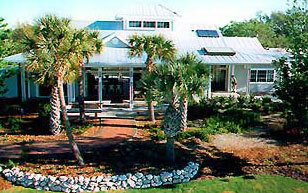 Below are some additional great resources that cover rainwater harvesting.